There's this one book releasing this fall that I'm very (and I mean very) excited for. The concept sounds awesome, and I'm planning to preorder it. What book am I talking about? Snow Like Ashes which is written by the lovely and very fun Sara Raasch. And I had the honor of interviewing her recently. Emma: I know on your website that it says you knew you were “destined for bookish things since the age of five,” when you brought hand-drawn picture books to sell at your friends’ lemonade stand. I also read in another interview that you’ve been working on Snow Like Ashes for years. So when did you officially start writing novels and think of it as your career path? 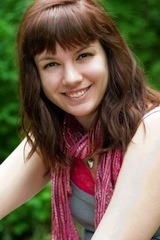 Sara: I "seriously" started writing/working toward getting published in my preteen year -- around the time I started writing the first draft of what would become SNOW LIKE ASHES. I say "seriously" because I had no idea what I was doing -- I stalked/harassed publishers at school visits, tried to get my very very rough first draft agented, etc. But I'm eternally glad my tenacity was blind to my shortcomings, because it let me figure out this industry on my own through trial and many, many errors! Emma: What drew you to write YA fiction? Sara: I love the sense of hope and possibility that comes with YA. The stories are all about people on the cusp of becoming -- teens on the brink of adulthood, making decisions that will mold their futures. Such possibility is ripe with stories to be told! Emma: Who are your favorite heroes/heroines in other books? Sara: Oh my! Tough question. Well, one of my absolute favorite books is POISON by Bridget Zinn -- I LOVE everything about her book, but especially her MC, Kyra. She's spunky and independent and flawed and so, so endearing. She's everything I want my own MCs to be! Emma: What’s something that couldn’t be included in Snow Like Ashes that you wish could have been? Emma: What’s the craziest/funniest/coolest thing you found while researching for this book? Sara: Each kingdom in SLA has an artifact, a conduit, that stores the magic for their monarch. I had a lot of fun figuring out what that object would be for each kingdom, but especially in the case of Autumn's conduit. It's a ring, but not just any ring -- a special cut called a Thai Princess ring, based on a ring my grandmother passed on to us grandkids. Every time I wear it I like to imagine it's my own personal conduit, and it helps me feel more connected to both SLA and to my grandmother. 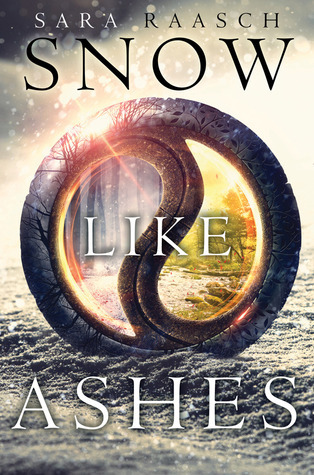 Emma: Anything you can say about the sequel to Snow Like Ashes? Emma: Do you have any concrete ideas for what you might be writing after you finish the SLA trilogy? 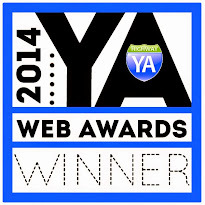 Sara: I have a few ideas rolling around -- a YA pirate fantasy and a YA sci-fi. The sci-fi has been particularly loud lately (it involves multi-planet war, magic powers, sisters, politics, and some really really gritty things I am ridiculously excited for), so it might win out in the end! Gotta go with the Little Mermaid. Particularly the Disney version, of course; apparently I watched that movie so much as a kid that my dad caught himself humming "Under the Sea" at work on more than one occasion. At the moment, Raising Hope. Everyone in that show is maddeningly adorable in totally quirky/slightly creepy ways. Again, at the moment (these things change daily), Raging Fire by Phillip Phillips. It perfectly encapsulates one of the relationships I'm working on in Book 3. SO MANY FEELS. Thanks for letting me interview you, Sara! Stang, that sounds so much like the second book in a duology I'm writing...:P That book sounds so cool, but I don't think I'll read it, for fear of accidentally plagiarizing it. What an awesome interview! I can't wait for Snow Like Ashes, and I absolutely loved Poison as well. Thanks for sharing! Isn't there magic in this? I'm pretty sure there is. Why? Isn't reading about magic against your religion? Not necessarily. To me, it's the form it's presented in. If it's too mystical or too much like witchcraft, I don't read it. If it's more like fairies and what-not, my parents have always let me read stuff like that.